While things may have been a bit intense over the last few days, Mercury's departure from your income sector yesterday and the Moon's from your financial sector just a few hours later, has already dialled things back. Yet with a smart head for money and your financial instincts and imagination fuelled, already any financial tension this may have created can be used as motivation. In a week where it is all about income matters, the Moon's passage through your financial sector in the early part of the week could be seen as an intrusion. However, despite the fact that this might create some financial tension, in reality the timing couldn't be better.  Venus, the planet of money won't leave your income sector until the weekend and with the Moon long gone from your financial sector by then, she has the rest of the week to turn any financial tension into motivation. While they won't move into opposition here, just having the Moon in your financial sector during Mercury's last full day in your income sector could be an annoying distraction. With the Moon and Mercury both leaving on Wednesday, each is trying to get your attention, putting income and money matters into conflict. Yet with a smart head for money and sharp financial instincts, this will keep you on your toes. While the Sun left your income sector last month, the first three weeks of April are likely to be the most lucrative or have the potential to either plant lucrative seeds or steer things in a lucrative direction. For the first time in five years, the Sun left your income sector last month before Venus, the planet of money had even returned. It was six days after the Sun left and just two days before Mercury's retrograde phase ended, that Venus returned to fuel your confidence and trigger the laws of attraction. As you move into April, Venus is still in her early days here and Mercury his early days in direct motion, but they are both ready to make things happen. Until leaving on 17th April, Mercury continues to give you the smart head for money needed to keep your head in the game and to make smart choices, decisions and plans. Until she leaves on 21st April, Venus will continue to fuel your confidence and trigger the laws of attraction, which is why her time here can often be the most lucrative weeks of any year. What creates even more potential this year, is the huge amount invested professionally over the last two years. Even if all Venus is able to manage is to steer things in a lucrative direction that is enough, with a new surge of activity on the job front from next month. Adding to a lack of urgency is the fact that dreamy Neptune will not only stay on and is here until 2026, but over the coming months will move increasingly close to new developments on the job front. Neptune will align with Mercury on 2nd/4th April and Venus on 10th/11th April. As Neptune is the planet that will keep the momentum going after Venus and Mercury leave, they will use these alignments to ensure their legacy continues. The Moon will move through your income sector from 2nd April to 4th April, sharpening your nose for money, while drawing Venus, Mercury and Neptune's energy together. The Moon will return on 29th April, with a chance to regroup after Venus and Mercury leave.